This is a scenario about memories and conflicting emotions. 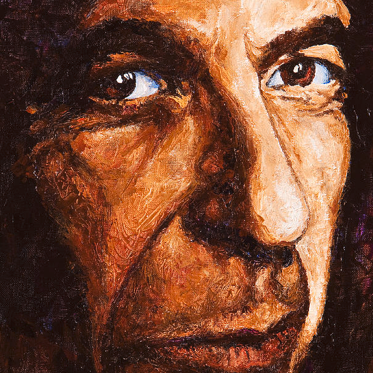 It is based on Leonard Cohen’s final studio album, recorded April 2015-July 2016, and released on October 2st 2016. Cohen died November 7th the same year. This is a very bleak album. Where most of Cohen’s work deals with religion as well as worldly desires, this album is almost entirely devoid of lust. The feelings are solemn and detached, seemingly those of a person close to death. In the scenario, all players play the memories of one and the same person, who we imagine is dying. Inspired by the emotions from one of the album songs, each of the players develops a memory of a person and a significant life event. Accompanied by the song, these scenes are played three times, with less and less detail, until the emotions of the scenes are laid bare. After the last song, the instrumental coda of the record is played and the scenario ends. Annika Waern is professor in Human Computer Interaction, and a play scholar. She has been larping since 2004 and is one of the designers behind Cabaret, the larp musical. This is her second scenario, and just as her first the scenario explores a co-creative approach to scenario design.